Free People, Changing Times Stripe Print Tunic, buy here. Zimmermann, Striped Linen Shorts, buy here. Alice’s Pig, Vintage Inspired Checkered Coat, buy here. Ozone Socks, Sheer Pinstripe Socks, buy here. Kenneth Jay Lane, Cocktail Ring, similar here. 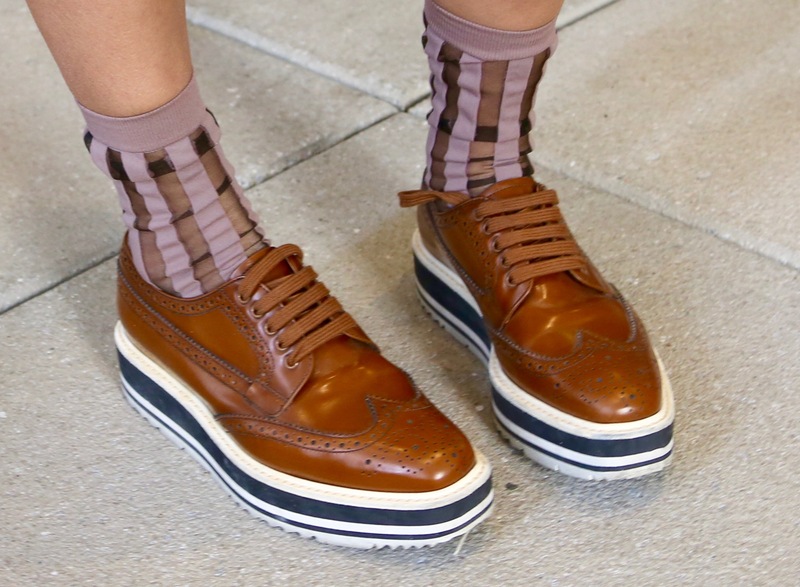 Prada, Platform Leather Wingtip Brogues, buy here.